Bissonnette, now 29, pleaded guilty last March to six charges of first-degree murder and six of attempted murder. More than 50 people were at the Islamic Cultural Centre in January 2017 when he began shooting during evening prayers. 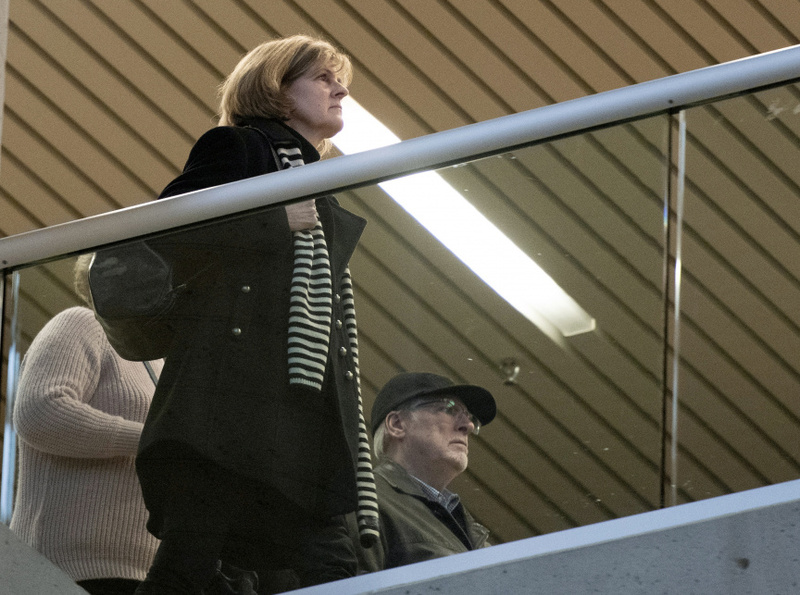 The judge began his ruling on Friday by saying the day of the murders "will forever be written in blood in the history of this city, this province, this country." But the judge rejected the prosecution's request for six consecutive life sentences, which would have prevented Bissonnette from seeking parole for 150 years and guaranteed that he end his life behind bars. Bissonnette's lawyer had argued the sentences should be served concurrently, making him eligible for parole after 25 years. Bissonnette received a life sentence and can apply for parole after 40 years, but that doesn't mean he's likely to get parole. Boufeldja Benabdallah, president of the mosque that was attacked, said community members were "stunned'" by the decision and felt the judge was more concerned about the dignity of the killer than that of the victims and their families. In pleading guilty, Bissonnette expressed shame and remorse for his actions but offered no clear explanation of why he did it. In a statement read in court, he said he was "neither a terrorist nor an Islamophobe," but rather someone who was "overcome by fear, by negative thoughts and a sort of horrible kind of despair." But in a police interrogation played in court during sentencing, Bissonnette told investigators he wanted to protect his family from terrorists when he committed the killings. He referred to numerous attacks and said he "lost it" after learning Canada was preparing to take in more refugees. Canada is generally welcoming toward immigrants and all religions, but Quebec's previous premier previously acknowledged the province has its "demons" in terms of attitudes toward Muslims. Six men, aged between 39 and 60, were killed when Bissonnette stormed the mosque and opened fire on Jan. 29, 2017. Bissonnette was arrested that night in his car on a bridge nearby, after he called 911 to say he wanted to cooperate with police.